After a very long winter that seemed to never end, Baltimore is more than ready for the warm weather of spring and summer. 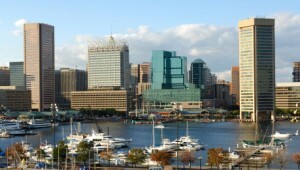 As the weather heats up, so, too, do the great events in the Charm City. From music to culture to sports, Baltimore’s spring and summer events lineup is looking very promising. Here are a few highlights to look forward to. The annual film festival returns to Baltimore this year for its 16th iteration from May 7th through the 11th. Held in various venues in Mount Vernon, Station North, and Bolton Hill, the Maryland Film Festival promises to showcase about 50 feature films and 75 films of other forms including documentaries, experimental, and animation. Baltimore’s own venerable filmmaker, John Waters, will be there hosting the film Abuse of Weakness on May 9th at 7 p.m. at MICA’s Brown Center. The second leg of the Triple Crown (which has not been won since 1978) takes place on May 17th at the Pimlico Race Course in Baltimore. California Chrome comes in having won the Kentucky Derby and looking to extend his consecutive win streak to 6. The event’s all-day InfieldFest will feature performing artists Lorde, Nas, and Switchfoot among others. This popular concert series, put on by local radio station 89.7 WTMD, is held on the first Thursday of every month. This year the event has moved from Mount Vernon Park to Canton Waterfront Park, and is drawing some of its biggest names yet, including Joan Osborne, Los Lonely Boys, and The Hold Steady. Always free, First Thursdays are a great local event for music lovers. This cultural festival in Baltimore’s lively Hamden neighborhood has been held every year since 1994. From its website: “The Bawlmer term of endearment, Hon, short for Honey, embodies the warmth and affection bestowed upon our beighors and bisitors alike by historic working-women of Baltimore. HonFest is an annual celebration in honor of these women.” Music, food, crafts, and plenty of big hairdos make this festival a true Baltimore original. No summer would be complete without a Fourth of July celebration. Baltimore does it big with a spectacular fireworks display over the Inner Harbor that can also be seen from Federal Hill, Fell’s Point, and Harbor East. Baltimore’s premier arts and entertainment festival, Artscape draws more than 350,000 attendees over its free 3-day exhibition of music and arts from Maryland and beyond. Held in Baltimore’s arts-oriented Midtown, Artscape is an event you don’t want to miss. This year it runs from July 18th-20th. This entry was posted on Wednesday, May 7th, 2014 at 6:10 pm. Both comments and pings are currently closed.